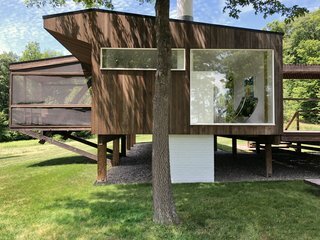 This December, Marcel Breuer’s Stillman Cottage will be listed for auction at an estimated $2–$2.5 million. 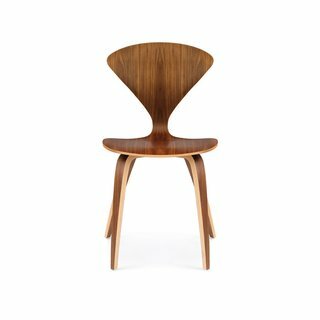 Now is your chance to own a historic work of modern design. Located in Litchfield, Connecticut, on a 10-acre parcel surrounded by 70 acres of land trust, the Stillman Cottage is a three-bedroom, two-bath home set on stilts above the ground. 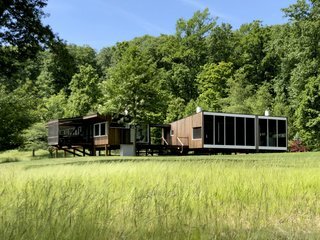 Resembling the character of Breuer's prior homes, the modern retreat is a platform for viewing nature. Built on stilts, the dwelling appears to float gently atop the landscape. Large openings and a two-bay screened-in porch further emphasize the connection between the indoors and outdoors. 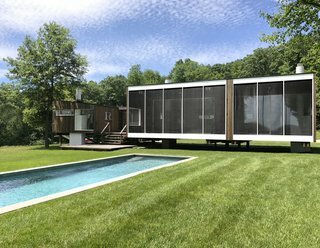 The Stillman Cottage is one of more than twenty structures commissioned by one of Breuer's most avid supporters and close friend, Rufus Stillman. Commissioned by Stillman and his wife Leslie in 1974, Breuer designed this simple and refined example of 20th-century architectural idealism. The structure appears to float above the ground. Wood stilts gently touch upon the earth, minimizing the building's footprint on the landscape. 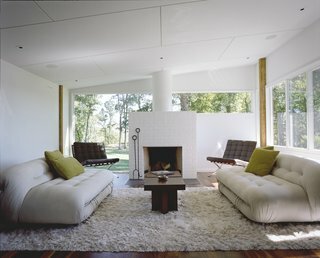 The brick chimney can be seen as it passes from the interior living spaces to the ground. 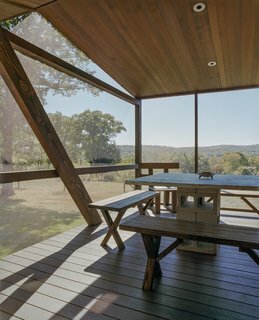 A cantilevered screen porch provides an ideal location for outdoor dining. Throughout the decades, the home has passed through three additional owners, has received tasteful additions, and has recently received the Connecticut Preservation Award. Not only is the home a work of iconic architecture—it also holds a place in political history as the home and campaign headquarters of U.S. Congressman Toby Moffett for many years. Screened-in porches run the length of the addition, creating a seamless connection between indoor and outdoor living spaces. The home is divided into two sections. The main structure holds a combined kitchen and dining space, as well as a cantilevered screened-in porch. 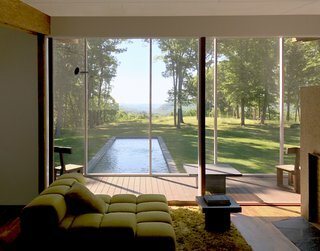 Connected by a breezeway, an addition by Marcel Breuer Architects includes a foyer, great room, master bedroom, and two adjacent screen porches that run the length of the home. A detached wood carport and garage, in tune with the cottage's original design, complete the property. 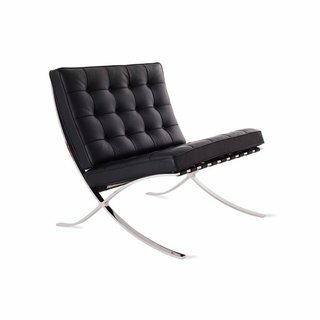 When Ludwig Mies van der Rohe was chosen to create the furnishings for the German Pavilion at the 1929 International Exhibition in Barcelona, he designed an iconic chair that many may not realize was born with royal roots. 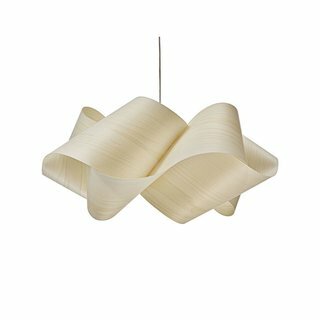 The LZF Swirl Pendant has a nice flow to it, featuring wavy bands of wood veneer that fold in to one another for a dynamic piece of ambient light. The soft shape is interesting from every angle, skillfully concealing the light source with a fully enveloped design. Inside, the focus remains on the landscape and the surroundings. The living space leads to a screened-in porch overlooking a reflecting pool and greenery. Although the spaces have been updated, the home's midcentury style shines through. A wood-burning fireplace adorns the master bedroom. A private screened-in porch provides a quiet oasis in which to enjoy the natural setting. A wood-wrapped carport completes the property. 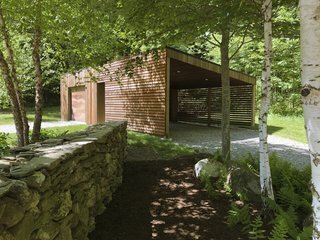 The cottage is located near two additional homes Breuer completed for Stillman, which can be accessed by trails. Originally designed as a seasonal retreat and a refuge from modern-day hustle, the cottage was built open-framed with hanging gas lanterns and a hand-dug well. In years since, it has been updated with modern appliances and amenities to suit contemporary needs. Even with the revisions, the character of the existing structure remains intact. Dark brown wood contrasts with the bright, white wall and ceiling finishes. In the kitchen, modern appliances meet today's needs. 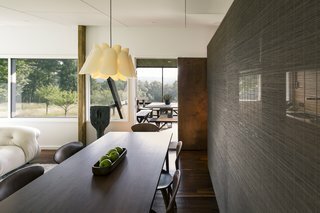 Large windows create a light-filled interior. 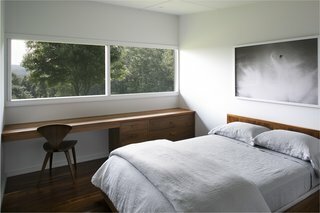 Wood built-in furnishings look onto the landscape from the bedroom. 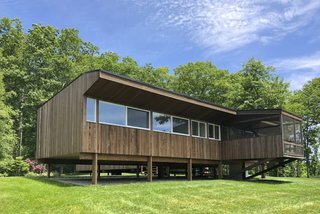 This December, Wright Auctions will list the Rufus Stillman Cottage for auction alongside a curated collection of works by 20th-century architects, artists, and designers. 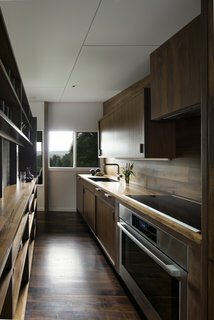 Do you know of a home for rent or sale that should be featured on Dwell.com? Get in touch with us here.